San Francisco is best appreciated when you let fate be your compass. 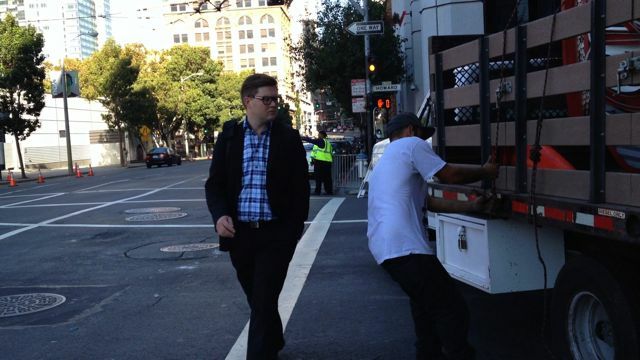 On a Sunday morning during the peak of Oracle OpenWorld, I was returning from a run when I stumbled on the massive Chevys Fresh Mex sign being lowered onto the street at 3rd and Howard in SoMa. The landmark symbol was coming down, and fewer than a handful of guys were trying to rope her in as people poured into the Moscone Center across the street for one of the biggest trade shows of the year. But all eyes weren’t on the Oracle branding. For a brief spell, people were more interested in a bearded guy in a white T-shirt maneuvering a massive glittering sign onto the back of a truck faster than the street light could count to ten. Perhaps an exaggeration — but he was fast — and quickly became an unintentional celebrity as he climbed the Vegas-style iconic art form like a cowboy jumping a saddle. Passers-by were taken by his skillful maneuvers as he tied his western knots. People pulled out cameras and I joined in, reaching for my iPhone to shoot this video. Chevys has big margarita’s, big plates and big neon signs. 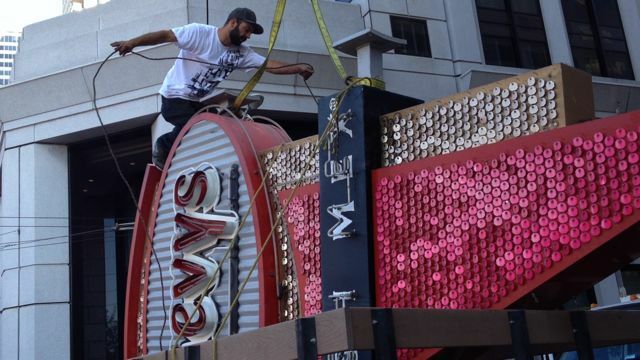 This one is not heading to a museum, but rather the spa for big glittering signs for a needed facelift — and is scheduled to be back in place to light up San Francisco soon.